We are passionate about art. 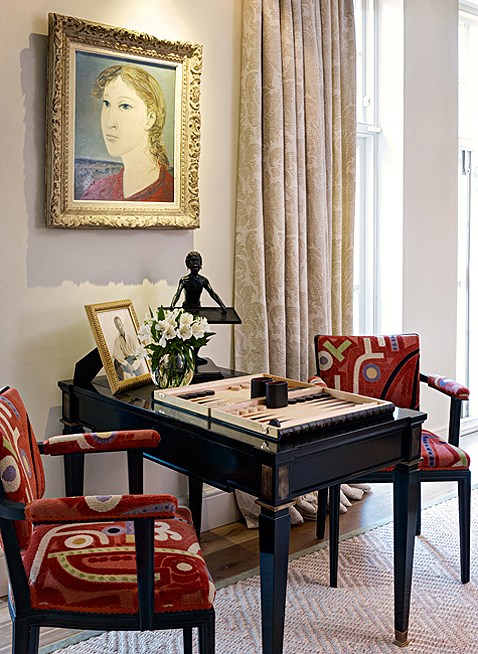 We believe that art can enhance any interior. Living with art gives such pleasure and we are committed to helping our clients find art which suits their tastes, lifestyle and budget. We have an extensive network of art dealers, auction houses, artists and gallerists. We are well placed to source or commission specific works of art for your home. We begin by working with our clients, listening to them and perhaps visiting shows, fairs and galleries to get a sense of their tastes. Lifestyle needs are also taken into account. We give our clients advice across the whole range of the market.